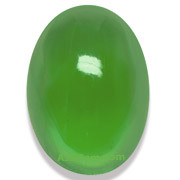 Williamsite is a rare translucent to semi-transparent variety of serpentine. 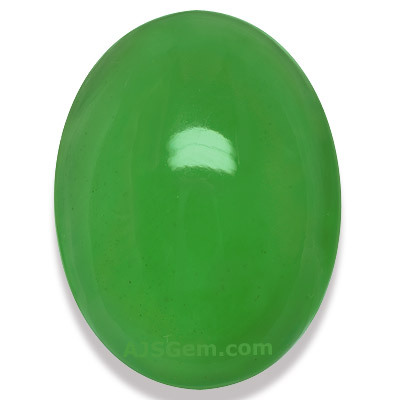 It is valued for its translucency and its jade-like color. Williamsite was named in honor of 19th century American mineral collector L.W. Williams (1804-1873), who first discovered it. Williamsite exhibits an oily luster when polished and often contains minor inclusions of chromite and magnetite. Williamsite belongs to the serpentine group of minerals, which has 3 subgroups or polymorphs that vary in crystal structure: antigorite, chrysotile and lizardite. Williamsite is an antigorite serpentine. Most serpentine is massive and opaque and is mainly used for carving or cabochons. 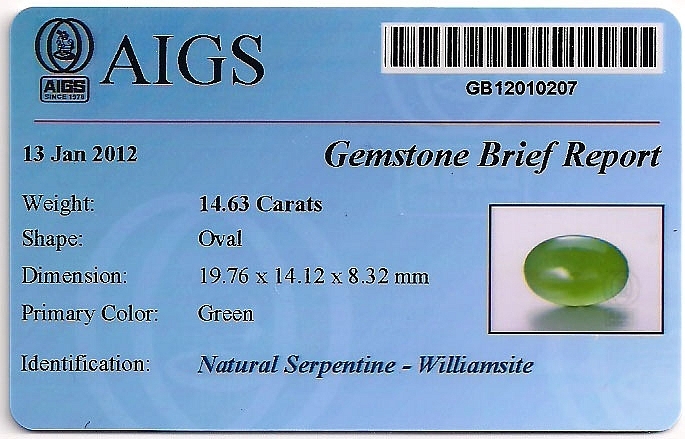 Williamsite is the rare gemmy exception and is noted for its unusual translucency and, occasionally, transparency. It is sometimes known as precious serpentine due to its resemblance to emerald-green jade. Another translucent antigorite, Bowenite, is more of an apple-green. Gemologically, Williamsite is a hydrous magnesium iron phyllosilicate by chemical composition, with a hardness of about 4 on the Mohs scale. It forms in the monoclinic crystal system. It has a refractive index of 1.53 to 1.575 (similar to chalcedony quartz) and a specific gravity of 2.51 to 2.63 (in the same range as moonstone). Williamsite is typically included with black chromite or magnetite inclusions. The emerald green color derives from traces of chromium. Williamsite is mainly found in Maryland and Pennsylvania in the USA.